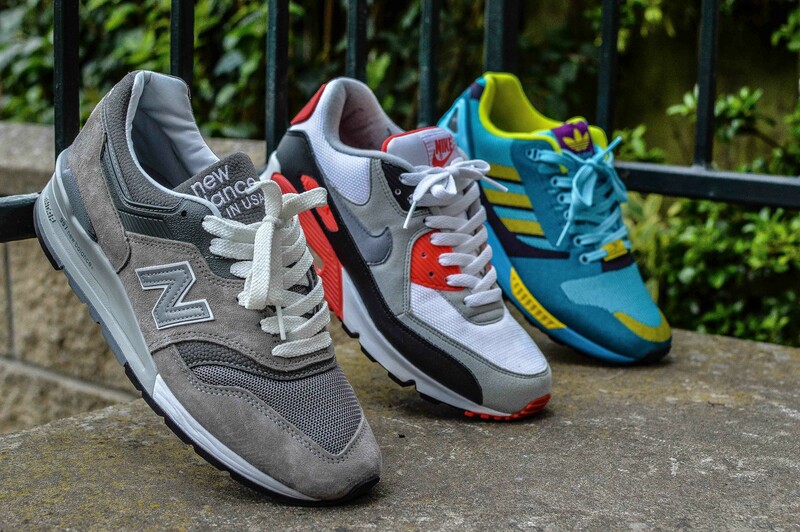 We asked huge trainerhead and one of the guys behind @newbalance_gallery on Instagram, Thomas Lindie, to compile his top three trainers for us, with a stipulation, they can’t all be New Balance. I’m not going to lie, I hit a bit of a brick wall when I was asked to compile a ‘top three’. I could sit for hours upon end thinking of ways to decide and then which pairs to choose. In all honesty, I guess I could probably do a top 25, which seems a bit extreme, and everyone skips to the top 5 or so anyway. Anyway, to make life easier, and keep this short and sweet, a top three is much simpler (..touchwood) if chosen from my own collection, and using a bit of brand variety, so here goes. Grey. Everyone should have at least one grey trainer in their collection, it works with pretty much everything, a go-to shoe if you must. One of the first pairs of NB to break the 100$ barrier, there’s been people screaming for a reissue for years and it finally came around. 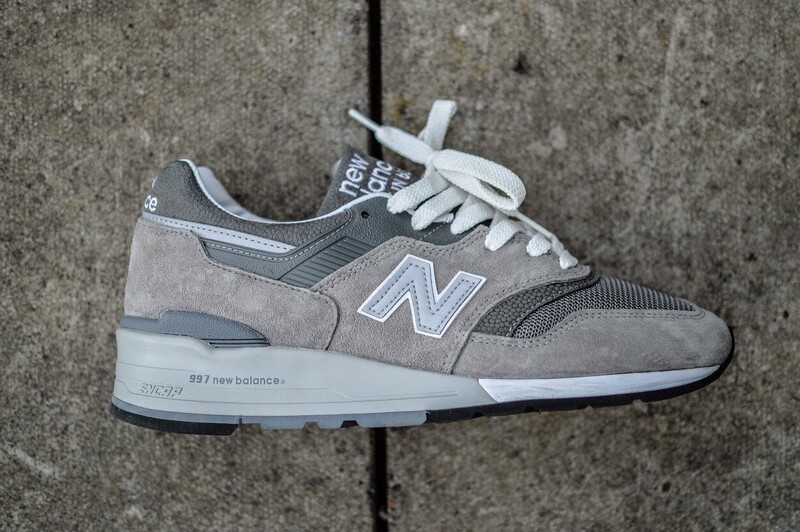 Premium suede and mesh, leather lining, comfy Encap sole unit, all the things you want from a shoe and the 997 has it. It’s 2014 right, so times have moved on from your all leather trainer, or your suede and mesh, so in steps your ‘Flux’ technology which is the latest and greatest from Adidas. 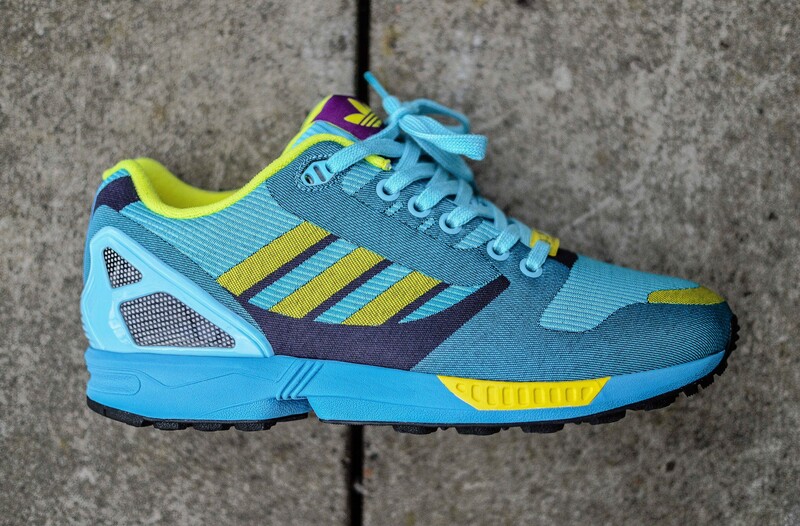 Add to that a favourite colourway for many Adidas Collectors and an archive model from ‘89 like the ZX 8000, and then we have a winner. Hm, Nike… specifically Air Max, everyone has had a pair at one point in their life, so it’s only right. The Air Max 90, a go-to shoe for every ned/chav/yoot who’s hanging about the corner of your street doing who knows what, and readily available at your local JD Sports, but don’t let that take anything away from this shoe. 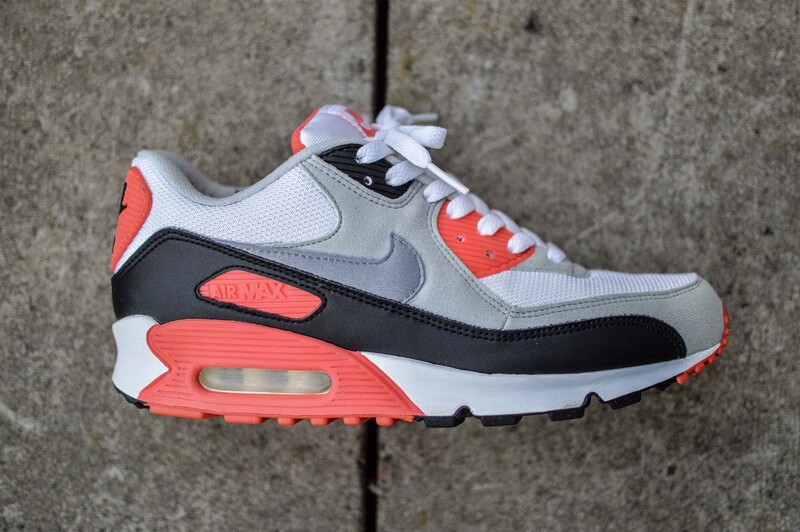 ‘Infrared’ is one of the Nike’s most iconic colourways, an important part of the brand’s identity and has been readily available through the years, along with appearing in many different iterations of the traditional AM90. A great colourway, one that’s sure to be around for a long time. Thanks to Tom for doing this, check him out on Instagram @ThomasLindie and his very successful page @newbalance_gallery.